Labyrinthos Blog > Labyrinths > A Grand Day Out! It was months in the planning, but so worth it! 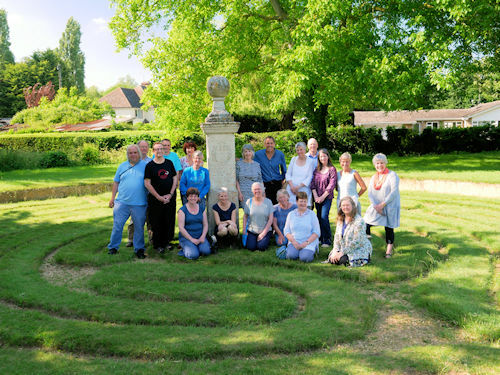 Twenty-five labyrinth enthusiasts gathered in the Cambridgeshire village of Hilton yesterday for a day of labyrinth walking, information, and community. We couldn’t have asked for a nicer day… even the weather gods cooperated, so we were able to spend plenty of time out on the historic turf maze (labyrinth) on the village green in between presentations inside the also-historic village hall. Our meeting was held in the delightful village hall, originally the village school built in 1857, that stands just across the way from the turf maze. 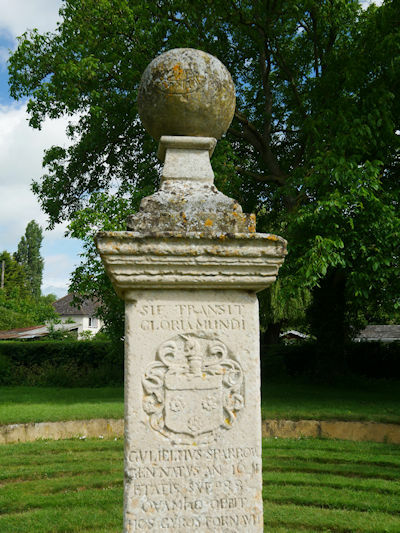 The maze was created in 1660 by William Sparrow, probably to celebrate the restoration of the monarchy in that significant year, after a decade or more of Puritan disapproval of such practices. The young William Sparrow – he was only 19 when he created the maze – came from a family of staunch Royalists, and a number of painted panels created in the 1630’s from the old farm where he lived are now preserved in the Victoria and Albert Museum in London. 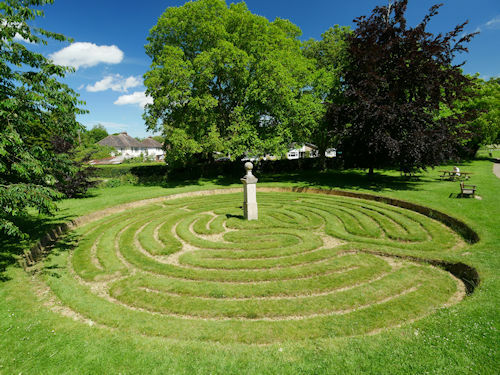 His turf maze, now over 350 years old is likewise beautifully preserved on the village green for all to enjoy. To see more about the day, please visit the Labyrinths in Britain Facebook page, a public page that doesn’t require a Facebook account.